Round and round the garden like a teddy bear! One step, two step race you all the way there. I made that last bit up! 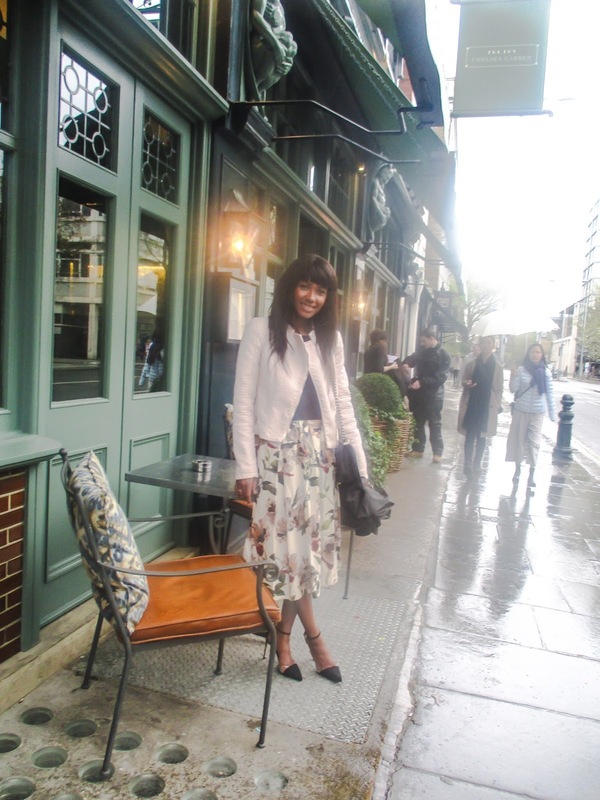 I have been dying to head to The Ivy Chelsea Garden for a while and now the weather has perked up or so I thought I have brilliant reason to go and enjoy the beautiful decor, plus the yummy food. On arrival I was greeted by the lovely hostesses who wore these cute green dresses and showed me to our table, where may I add that I waited 20 minutes for my date to show up, but all was forgiven after all she is preggers and managed to waddle on down here. 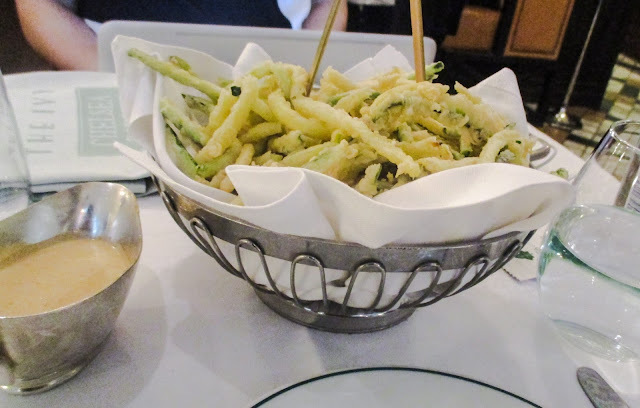 We started with the a side of Zucchini Friti which is my food heaven, I literally can not get enough of these, what was even better we received a momentous amount piled up in a basket, we literally went hands in not using the tongs. 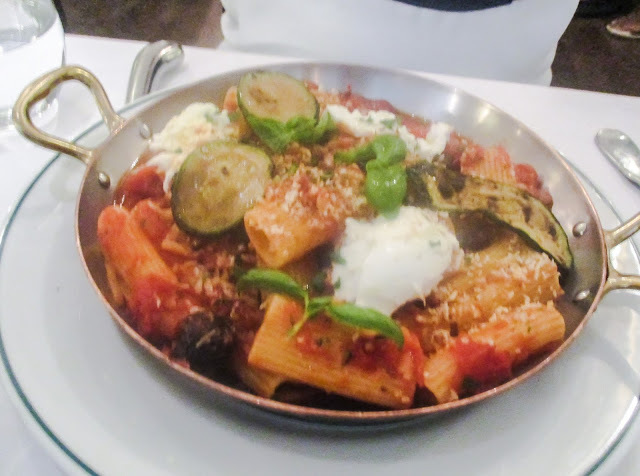 For the mains, Winx ordered the Baked rigatoni Provençale which I tasted and it was good, not great and I went with the Grilled chicken salad. 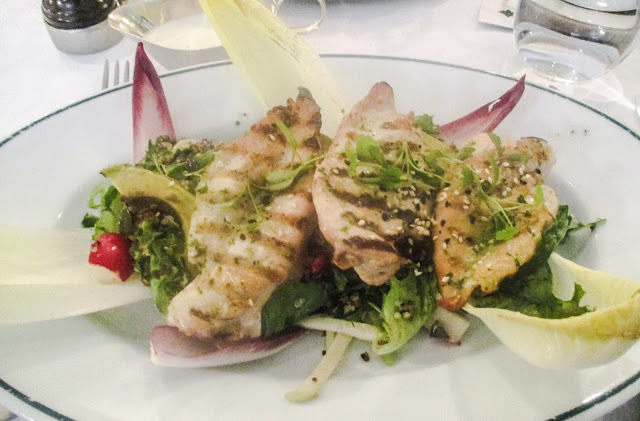 Unfortunately, my salad came with a vast amount of chopped coriander which it does not tell you on the menu, and I absolutely, vehemently detest to which lead me being unable to eat it, but a quick chat with the Maitre D' and he whisked my plate happily away and returned with a freshly cooked no coriander in site salad. The food in all was pretty standard I certainly had higher hopes for The Ivy Chelsea Garden, but this was made up by the lovely friendly staff and the stunning decor. Would I return yes, but only because I wish I had ordered the scallops, the table next to me had ordered these and they looked Ah-mazing, plus I have heard good things about brunch and of course for the staff.